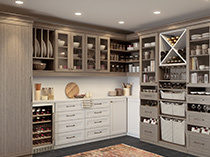 For more than three decades California Closets has built a reputation as a leader in premium and luxury space management, delivering truly custom products and unparalleled service. We’ve helped transform spaces and allowed people to get more out of their homes—and do more in their everyday lives. 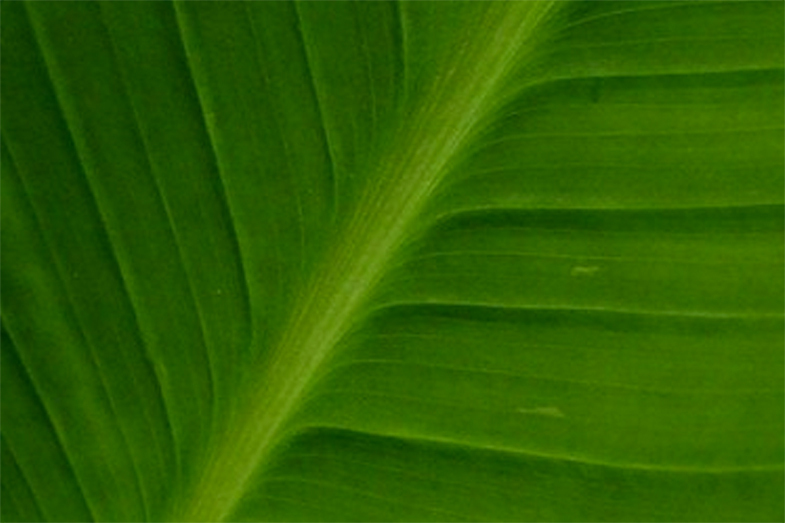 And as we move forward, we will passionately continue to do this, and more. 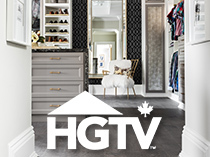 Today, we have 120 showrooms and 700+ designers across North America. We expect to grow to 300 showrooms and 1,600 designers in the next five years, through a combination of company stores and franchises. 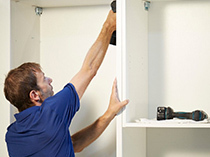 California Closets is a subsidiary of FirstService Brands. FirstService Brands is one of North America’s largest providers of essential property services to residential and commercial customers delivered through individually branded franchise systems and company-owned operations. 1978 – California Closets is founded by an 18-year-old college student who turned his innovative idea of maximizing space in his dorm room closet into a successful small business in Southern California. Little did he know that he also launched an entirely new custom closets industry. 1982 – California Closets expands beyond its original location in the San Fernando Valley when the first franchise in Huntington Beach, California, is sold. 1985 – California Closets opens its first international franchise in Vancouver, British Columbia. 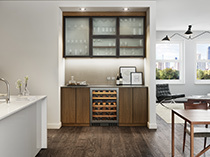 1986 – California Closets introduces its new Classic line of storage solutions, including a European on-the-wall rail mounting system, miter-cut drawers, and beautiful melamine materials. 1990 – Williams-Sonoma purchases California Closets. 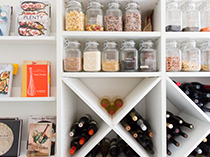 1993 – California Closets becomes the first customized storage solution company to expand product offerings beyond the bedroom closet to include garage, home office, and kitchen pantry solutions. 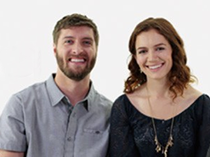 1996 – California Closets launches its first national advertising campaign, shifting emphasis from home improvement to lifestyle marketing. 1996 – California Closets introduces the Room2Work™ line of fully backed modular units designed for rigorous office and home office use. 1998 – California Closets is acquired by FirstService Corporation. 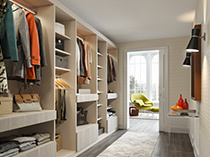 2000 – California Closets introduces the Suite line of custom storage solutions with floor-to-ceiling installation, crown moldings and trim, and more furniture-like options. 2001 – California Closets repurchases its New England franchise and begins to build a portfolio of company-owned locations that operate alongside its franchise system. 2003 – California Closets sells its first franchise in Mexico. 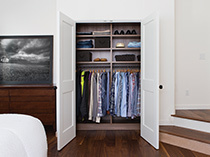 2006 – California Closets is awarded #1 Closet/Organization System Brand and #1 in Quality by Custom Home magazine readers. 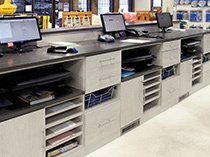 2007 – California Closets introduces groundbreaking, proprietary design software ClosetCAD, which allows its design consultants to create and render beautiful custom solutions, automatically calculate retail price, and provide manufacturing data for its production shops. 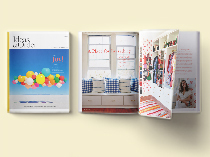 2008 – California Closets celebrates its 30-year anniversary by introducing Lago®, bringing textured melamine materials from Europe to the North American closet market for the first time. 2009 – California Closets completes rollout of its proprietary customer and job management system, CCDashboard, to its company-owned and franchise locations. 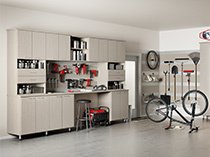 2010 – California Closets launches Tesoro™ and Virtuoso™, its high-end Milan-inspired system, allowing the company to expand from its traditional Classic and Suite offerings to more contemporary designs and textured laminate materials. 2011 – California Closets introduces new and innovative low-voltage lighting options to its product lines. Solid wood and dovetail drawer boxes with soft close European undermount slides become standard in all systems. 2012 – Our president, Bill Barton, is awarded the 2012 Wood Industry Innovator of the Year by Wood Networking magazine. Extended door and drawer face offerings become available, featuring beautiful etched glass or Ecoresin inserts. 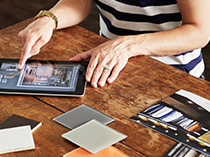 2012 – California Closets launches first Digital Showroom iPad app, bringing the full array of product offerings, formerly only seen in the showrooms, directly into the customer’s home. 2013 – California Closets is named Preferred Closet/Organization Systems brand by Builder & Developer and Green Homebuilder magazines. 2014 – California Closets opens its 100th showroom and sets a new record for annual sales. 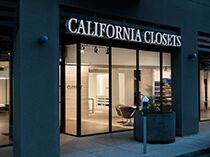 2015 – The California Closets brand has never been stronger, with category-leading products, technology, and showrooms across all of North America. 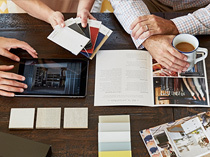 Our product development team continually sources the very best in furniture design ideas, sustainable materials, and beautiful accessories from around the world. 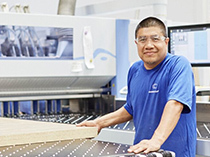 We are currently building the next generation of automated, lean manufacturing facilities and exploring moves into complementary merchandise lines, distribution channels, and geographic markets. 2017 – California Closets receives a Silver Shop! Design Award in the Service Retailer category for its innovative, reimagined Showroom 2.0 environment designed by Boston-based architecture and interiors firm, Bergmeyer Associates, Inc.
We pride ourselves in providing our clients with superior customer service, guiding them through every stage of the design process, from inception to installation.